Myzone Fitness Technology coming to WRRFC! 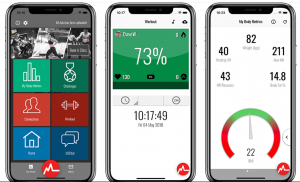 Myzone technology coming to WRRFC! Western Reserve Racquet and Fitness is excited to announce the integration of Myzone technology to our club and to your fitness workouts! 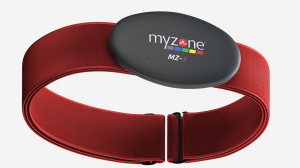 Myzone technology, built and designed for the fitness industry, is an innovative and wireless heart-rate based system that accurately monitors your physical activity. Myzone personalizes your workouts by monitoring your heart rate, calories burned, and calculates time expended. These areas are converted into Myzone Effort Points or MEPs. By basing your workouts in MEPs, the focus is on rewarding effort, rather than fitness! Thus, in effect, everyone is on an equal playing field no matter your weight, height, or physical condition! It’s like having a handicap in golf or bowling. Myzone accuracy 99.4% – Best in the industry! Clinically tested to be as accurate as an EKG machine (99.4%), the zones of intensity automatically calibrate to the users unique maximized heart rate. Since the Myzone monitor is strapped to your chest, as opposed to your wrist, the accuracy is vastly higher. This is due to a decrease in the variables on the chest strap monitor. For example, on the wristband devices, swinging your arms or which wrist you wear it on, dominant or non-dominant, can affect the accuracy. In addition, various activities such as driving on bumpy roads, or pushing a stroller can also compromise the accuracy of wristband devices. Research shows the accuracy of these wristband devices are all over the place- anywhere between 60% and 92%, due to the variables that come innately with wristband devices. The user-friendly Myzone, in conjunction with the integrated Myzone app, has many different functions geared toward optimizing your results. The Myzone Workout allows you to see your “real-time” effort on your phone as well as on television display monitors that will be installed throughout the club as you work out! The display will consist of heart rate, calories burned, and intensity using five color-coded personalized zones. These monitors will be installed in the Group Fitness Room, the Free Weight Room upstairs, and in the Fit360 Room!! 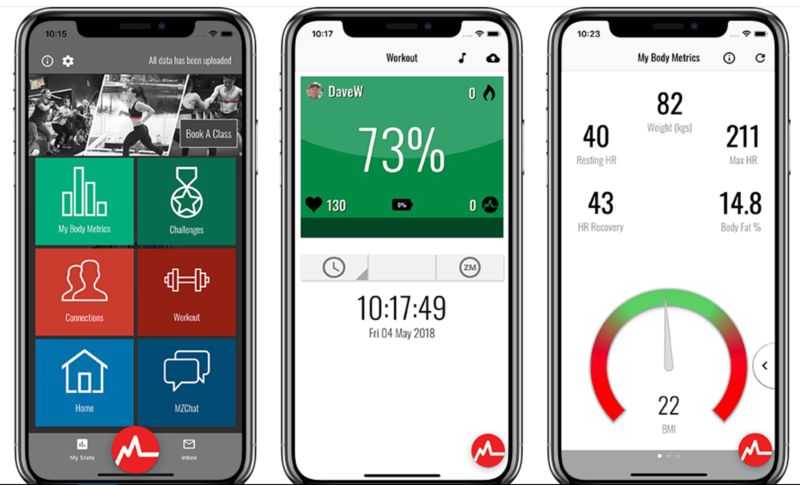 View your personal workout history on your phone and visibly see which workouts earned you more MEPs (Myzone Effort Points). Tweak your workouts for optimal MEPs and watch your results elevate! Create group challenges and workouts! You can also create challenges on Myzone devices. This is great for group motivation and engagement. For example, the Myzone app allows you to form groups with your friends or fitness class members to help push you toward group success while realizing your own individual goals. See how other members of your group are progressing. When you see how others are performing, it allows you to exchange ideas and/or personally challenge each other. There is also an optional chat forum in which only members of your group can see. Individually, you can create Zone Journeys to help motivate yourself to achieve set zones within your workout. Simply set a desired workout time and then choose your cardio experience. All the work is done for you…well, almost…you still have to get on the machine! Myzone will be part of our 2019 Fitness Challenge! And NOW for the exciting news! Since Myzone was created to “turn a fitness club into a socially connected hub while providing accurate data that your members can trust” Western Reserve Racquet & Fitness has decided to incorporate the Myzone MZ-3 into our 2019 Fitness Challenge called “GET IN THE ZONE Transformation Challenge”. Everyone who signs up for the challenge will receive a free Myzone MZ-3 fitness monitor ($150 value online/$85 WRRFC member price). This MZ-3 is yours to keep so staying on track after the fitness challenge is over has never been easier! Bring it to all your fitness classes and keep track of your continued progress. It’s like a gaming system for your body and health! That healthy you is just waiting to come out and with the addition of the installed television monitors, WRRFC will be committed to your continued success! Note: Myzone is also on sale for $85 at the front desk for those that do not wish to participate in the fitness challenge and just want to connect with the WRRFC social fitness hub! Our Fitness Challenge will begin on January 7th and run through February 28th. See upcoming posts and bulletins for all the GET IN THE ZONE details. Registration will begin soon! Your MZ-3 will allow you to stream and upload to the new Myzone app as well as at your health club. The MZ-3 is rechargeable. It is recommended that the charging cable is connected to a low power charging source such as a computer. When the light on the MZ-3 turns green your belt is fully charged. No data is transmitted via the charging cable. As with previous belt versions, data upload is completely hands-free. You can expect up to 7 months of battery life from one charge. You can now view your heart rate on many popular fitness apps that accept a Bluetooth signal such as MapMYFitness, Run Keeper and Strava. Your data will be stored until you sync your belt with the Myzone app. The MZ-3 and Myzone App is compatible with iPhones 5 or higher running iOS 9.1 or higher, and Android smartphones running Android 5.0 or higher with Bluetooth 4.0 LE radio. Your Myzone chest band is completely hand washable! Myzone monitors are also sold separately at the front desk for $85.00 for those members that do not wish to participate in the fitness challenge. For more information on the Myzone fitness monitors go to the Myzone website. Tagged events, fitness, fitness challenge, fitness goals, health, lose weight, Myzone, weight loss, Western Reserve Racquet and Fitness Club.